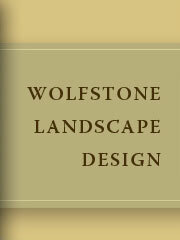 We were so pleased with the exceptional work from Wolfstone Landscape Design. The time and care she gave to our project was incredible and she provided a design that fit our style and budget perfectly. She was also always available for follow up questions which was extremely helpful during that first year after the project was complete. I'd recommend her to anyone looking for a custom landscape design no matter what the size - she can do it all. Lynn Wolfstone is highly talented. and very knowledgable. She completely redesigned my garden and I loved everything she did. There is always something blooming. She was open to suggestions that I made, and in general was a delight to work with for everyone who worked on the project. I would refer Lynn to anyone and have to many. Five years ago my house had zero street appeal--just some grass, a few plants here and there and a narrow brick path. I asked Lynn to help with a better path and some plantings to spiff up the entry. First we talked, and she did some "wondering" out loud about possibilities I had never imagined. She pointed out some minor changes I could make that would open up a whole new bed at the entry to the property, leading visitors to the door. A few other inexpensive structural changes were suggested, and we were on our way. I wanted to be involved in choosing the plants, and Lynn very patiently answered my questions and sent me a variety of choices for major plantings, which I was able to check out online. She helped me find someone to do additional drainage work not related to the garden, and the same company put in the gravel paths she designed. We went to select plants together, and the drainage guys planted everything according to her instructions. We stayed within my budget and I couldn't be happier!